Casablanca Authors: Halloween Comes Early with a SALE on Two Paranormal Romances! 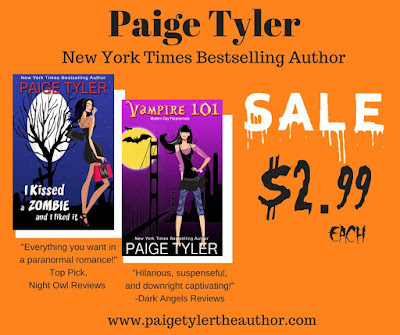 Halloween Comes Early with a SALE on Two Paranormal Romances! 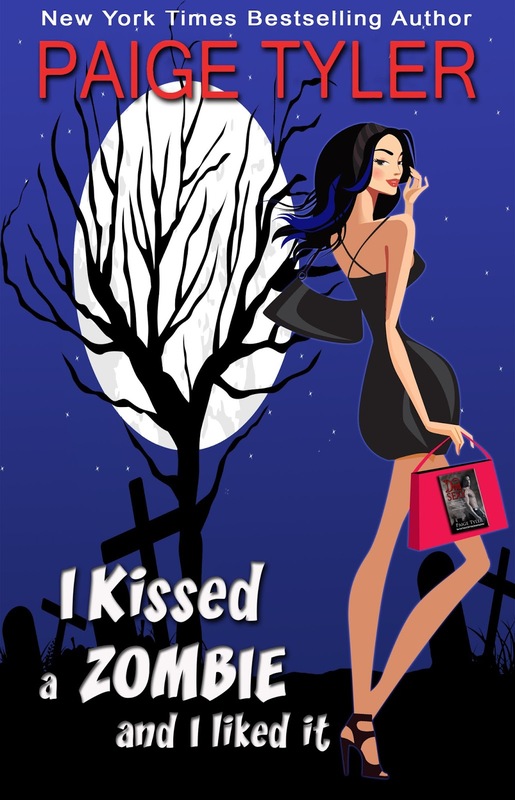 Halloween will be here soon, but you don’t have to wait to celebrate because I’m slashing prices on two cute paranormal romances, VAMPIRE 101 and I KISSED A ZOMBIE AND I LIKED IT. You can pick them up for $2.99 each right now! With over forty five-star reviews, these books are sure to make you smile and keep you reading long into the night! But hurry, because that SALE PRICE is only good for October! 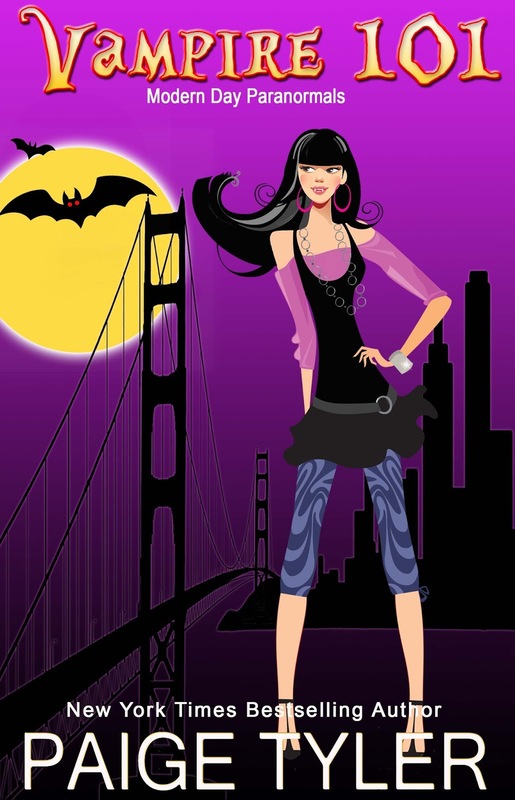 Savanna Royce is a weekend Goth-girl who’s always been fascinated with vampires. She doesn't really believe in them, of course, but that changes when she’s bitten by a rogue vamp and left for dead. 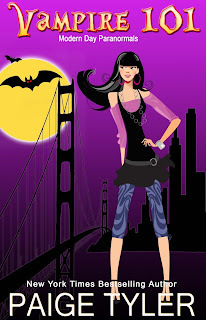 Fortunately, two-hundred-and-seventy-eight-year-old vampire Kaige Travers is there to rescue her. Unwilling to let her die, he turns Savanna into a vampire to save her life—not knowing if she’ll thank him or hate him for it. Just as things are heating up between the sheets—and everywhere else-they encounter one minor problem. The rogue vampire who attacked her is back and this time he wants to finish the job he started. Buy VAMPIRE 101 at All Your Favorite Stores! Drake Parrish isn't your usual zombie. For one thing he's gorgeous as sin. For another, he's not dead. At least not all the time. Thanks to the evil Voodoo priestess who cursed him eight years ago, he occasionally turns into one of the walking dead. On the upside, it's not like he's a zombie that you see on that TV show. He doesn't eat brains or anything. In fact, he's the same guy as when he's alive. Just a little…well…deader. On the downside, Drake never knows when he's going to all zombie, which makes having a social life hell. But as long as his new girlfriend, romance author Simone Kent, never finds out that he's a part-time dead guy, it should all be good. 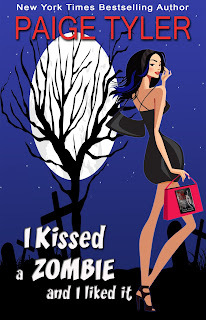 Buy I KISSED A ZOMBIE AND I LIKED IT at All your Favorite Stores! The SALE PRICE of $2.99 each is only good for October, so grab your copy of VAMPIRE 101 and I KISSED A ZOMBIE AND I LIKED IT today!